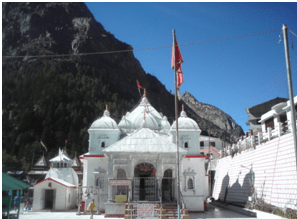 Char Dham Yatra, one that every Hindu wants to do once in his life time, is the combined name for the yatra through four pillars of Hindu mythology, the Yamunotri, the Gangotri, Kedarnath and Badrinath. 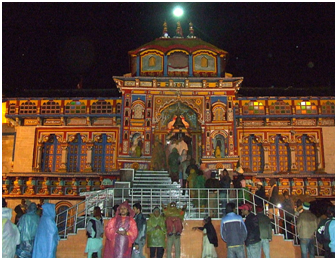 Each and every year thousands and thousands of pilgrims travel to Devbhoomi, Uttrakhand in order to visit these temples and purify themselves of their sins. Last year, I undertook a blissful journey to experience the charismatic beauty of the Char Dham Yatra. As the name may sound, it is basically a pilgrimage to the four main temples. But that is just the tip of the iceberg. When you actually travel, you get to know that it is not just merely a pilgrimage but a truly rejuvenating experience, one that will absolutely thrill anyone, from nature lovers to adventure seekers and most of all, tourists. And believe me when I say, it is journey of a lifetime. 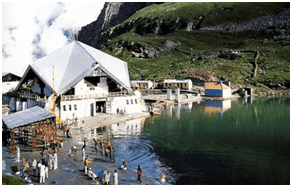 Char Dham Yatra usually takes around 10 days, (it can be a two day journey by air, but then that will boring as hell) and usually starts from Haridwar or Dehradun. I started mine from Hardiwar and I must say that this is the perfect place to start this epic journey. The pristine environment of Haridwar, one that fills you with a sense of closeness to the almighty, is just what the doctor ordered. One day stay at Haridwar with spectacular Ganga arti in the evening and a dip in the holy Ganges next day is how one should start the journey. 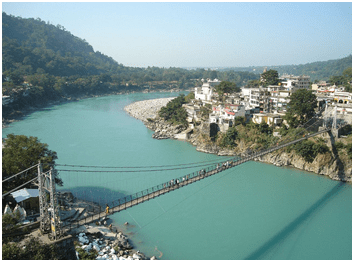 Starting from Haridwar, the first stop on the way is Uttarkashi, the Kashi of the north. 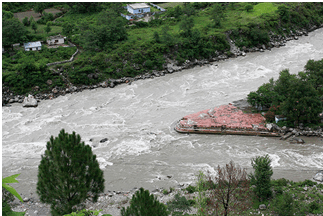 A town in the foothills of the Himalays, Uttarkashi has been blessed by Lord Shiva himself as even after repeated destruction by numerous earthquakes, this town still stands and prosper. Here one gets to see the beautiful Vishwanath temple where, as the folklore goes, the trishul of Lord Shiva himself is standing majestically. This truly is a sight to revel seeing the awesome and powerful trident. 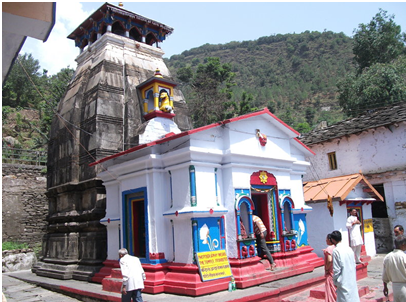 From Uttarkashi, the next stop is the first pillar, the Yamunotri temple followed by Gangotri temple. 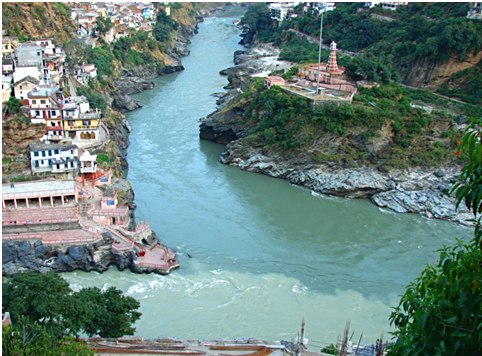 These two a temples are created at the starting point of the two principle rivers of India, the Yamuna and Ganga. Here one witnesses these two rivers in the nascent form, with water so clear that you can see through it, so prestine that one can drink it, and so rapid that it can cut through rocks. Along with these two temples, one gets to visit Surajkund and Gaumukh. 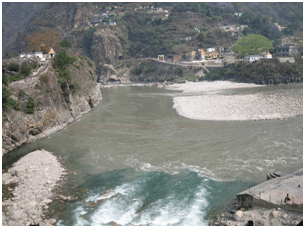 The former is a hot water spring near Yamunotri temple and the latter is the origin point of the mighty ganges. 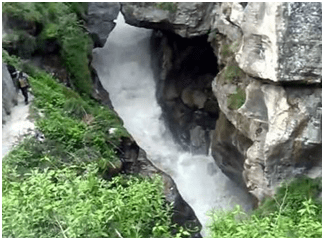 Gaumukh is a further 14km trek from gangotri. 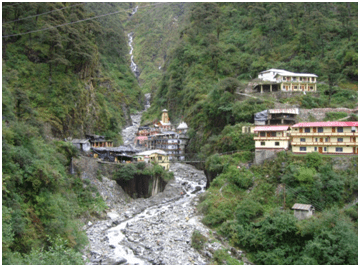 Next on the journey comes Guptkashi, and as the name suggests, it is the place where Lord Shiva hid from the Pandavas. Here also lies the Vishwanath temple, which is famous for its stone architecture and the 12 shivalings that is symbolic of the 12 jyotirlings spread across the country. After Guptkashi comes Gaurighat, the pit stop for the journey to the next pillar, the Kedarnath temple. 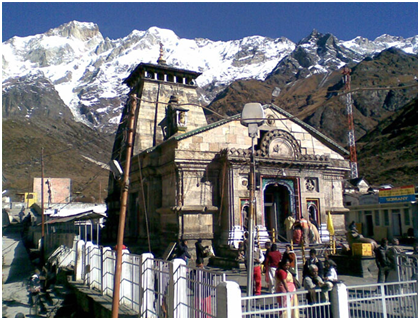 While all of the other temples are accessible through road, Kedarnath isn’t. Here you have to either go by foot or by pony. But it’s really worth it. The temple of Kedarnath, most beautiful of all, is situated in the heart of Kedar valley, amidst the awesome Meru Sumeru Mountains in the background, with the Saraswati River quietly flowing around it. 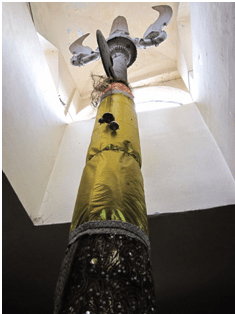 The temple is dedicated to Lord Shiva and one of the Panch Kedar temples, where the hump of Lord Shiva is worshipped, when he took the bull form. 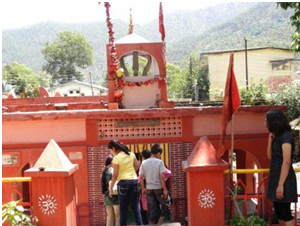 Next to Gaurighat is the famous Triloknarayan Temple, where the sacred marriage between Lord Shiva and Goddess Parvati took place, here in the heart of this temple is the eternal flame which is burning from the time of the marriage till now and everyone who visits this temple contributes one log of wood in order to be blessed and prosper. Next is the last pillar of the journey, the Badrinath temple. On the way to Badrinath, one gets to see Gurudwara Sri Hemkunt Sahib which is one of the most sacred places to the Sikhs all over the world. And after that is Joshimath, the final pit stop in our journey. 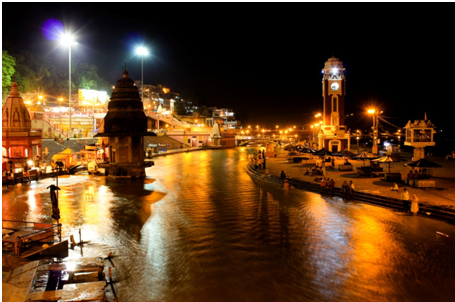 From here the majestic and beautiful Badrinath Temple is across the bridge over the Alaknanda River. And i have to confess, the sight of Badrinath temple in the night is one to be mesmerised by, with the temple lit up at night and surrounded by the various shops and hotels. Seen from a distance, it is one picturesque sight. But the journey doesn’t really end here. It’s only half done. On the way back, the first stop is Mana Village which lies near the China’s border. And here lies the origin point of Saraswati River, a truly majestic site with the water falling like a wall in front of you, from a crack in the mountain. And after this is the Switzerland of India, Chopta, a town in the Himalays and surrounded by dense forest and mountains all over. Here one can observe and appreciate the true beauty of nature, where trees are still wet as the sunlight is unable to penetrate. Visiting this place fills you with a deep love for nature and gives you peace of mind. Next on the return journey are the Panch Prayags, or the confluence of various rivers that converge one by one to finally form the mighty Ganges. 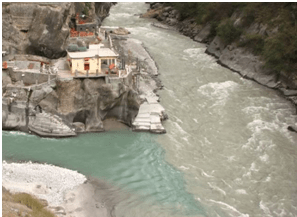 The Prayags, namely, Vishnuprayag, Nandprayag, Karnprayag, Rudraprayag and finally Devprayag trace the journey of Alaknanda to the Ganges. 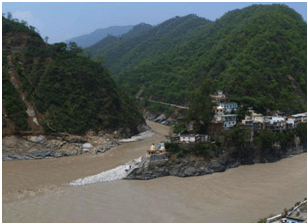 And finally the last stop of this is the saints’ own town, Rishikesh, where one can experience variety of different activities life rafting, camping etc and if one has nothing to do, just sit back and relax. Really this journey is one which you simply cannot let pass. It is a journey through mountains and with the Mother Nature. One witnesses the sights that many people crave for. During this journey one feels connected to the roots of this country. One may not find fancy hotel or extravagant food on this journey, but living in a tenthouse between the forest at 3000 ft from sea level with the mighty Ganges roaring beneath and snowcapped mountains surrounding by and a cup of tea in hand, is the experience that one will never ever forget. Incredible indeed. Hailing from Lucknow, the city of Nawabs and Kebabs, Shivam spent his childhood in different parts of India. Being born in Delhi, he grew up living in different cities – Haridwar, Aligarh, Banaras, Chennai, Mumbai and Chandigarh. Being a foodie, he never misses an opportunity to taste new dishes and his favourites include Bati Chokha, Pau Bhaji, Rajma Chawal, Chole Bhature, Gol Gappe, Bambaiya Bhelpuri and Lakhnavi Kebabs. He considers that the main essence of any culture lies in its traditional food, habits, and believes the diversity of India is not found in big famous places but in those small places where our culture and traditions are still thriving. He calls himself a floater as he is always ready to float to any place in order to grace its culture, tradition and most importantly its awesome food. Currently in B. 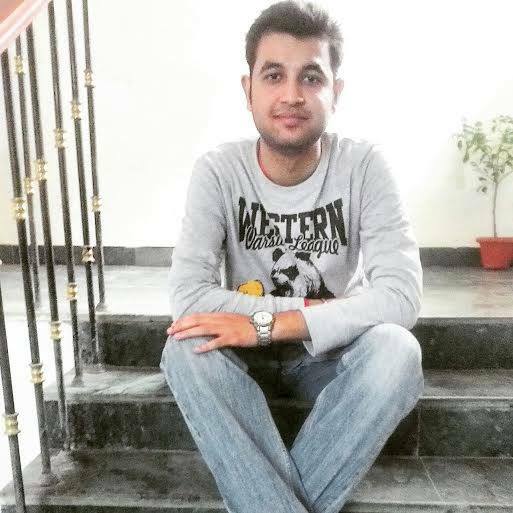 Tech Final year at Amity University Lucknow and preparing for higher studies, Shivam is a sports freak. He is a state level Hockey player and is ardent follower of Indian Cricket and Hockey Teams, and Manchester United Football Club. His hobbies include playing sports, watching television, reading novels, listening to music and playing his guitar. very nice blog and your collection is very good.. Uttarakhand is best destination of India.. and if you know about chardham yatra so visit on this page..